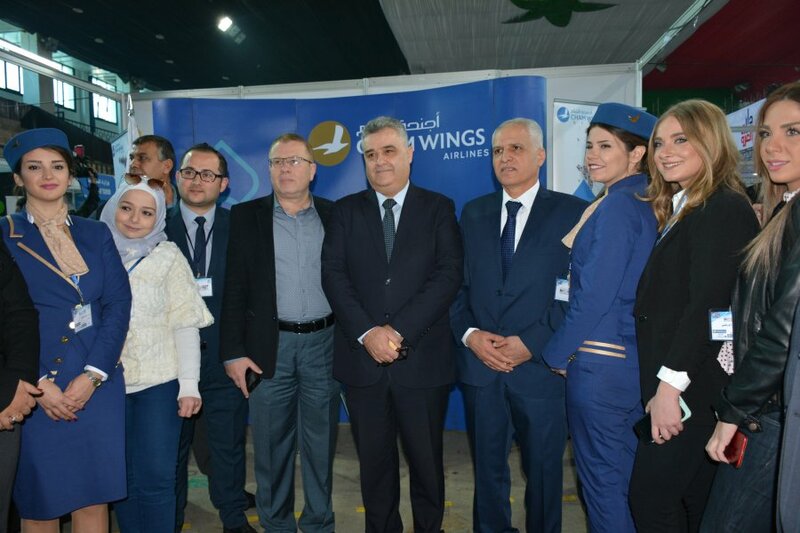 MEDIA Exhibition for advertising & media started activities from Tuesday 12 till Thursday 14 of Dec. 2017 at Damascus-based al-Jalaa Sport Hall with the participation of Cham Wings Airlines as an exclusive sponsor of this event. The three-day expo, which has been organized by the Arab Advertising Est. under the patronage of the Syrian Information Minister Eng. Ramez Tourjman, aims at linking printed, visual and audio media with the advertising market, in addition to keeping up with the latest industry developments. In a press statement, The Business Development Director of Cham Wings Airlines, Osama Satea said that media and advertising are the backbone of any Organization activities. He said that Cham Wings participation in this exhibition is an important opportunity to communicate with all Media & Advertising agencies and inform the exhibition visitors about our destinations, services and all activities as well.